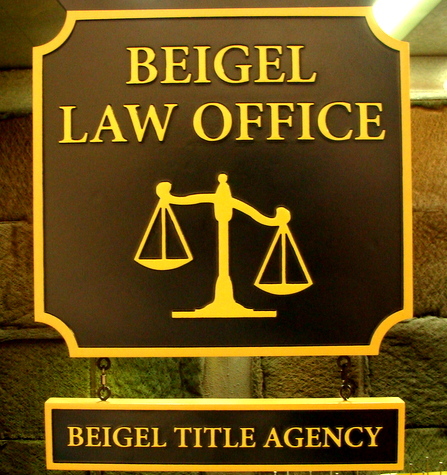 This classic , easy to read sign projects professionalism- black and yellow are very effective here. Other good colors for this sign are forest green and gold and gray-blue and gold. A single hanging sign is connecte with stainless steel eyelets.